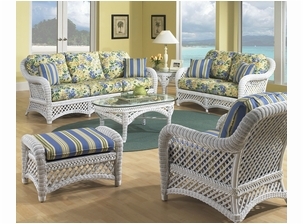 Wicker furniture from Wicker Paradise will transform your deck or sunroom with style! Our extensive collection of chic and durable wicker sets features: porch swings, dining sets, barstools, chairs, rockers, loveseats and sofas. Select the category of your choice to find the best furniture for your sunroom, porch or yard. 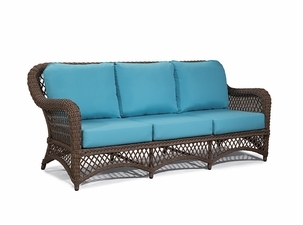 Whether you need a single wicker sofa or a six-piece furniture set, Wicker Paradise is your source for quality wicker furniture for indoor or outdoor use at low prices. Established in 1982, our company takes pride in giving our customers excellent service and providing them with the wicker dining or sofa set they want. Our wicker sets are comfortable and attractive, so you can enjoy dining or relaxing outdoors with wicker chairs and furniture today. 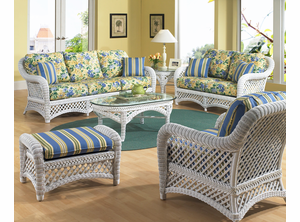 Let us help you bring paradise to your home with our unique and gorgeous woven wicker furnishings. Wicker can take many forms. Wicker itself is not a material, instead, wicker is a term given to a class of woven materials of either synthetic or natural fibers. Some common materials used in wicker include rattan, bamboo, synthetic vinyl and sea grass. One of the most versatile and rugged forms of outdoor furniture. Wicker chairs are timeless in elegance, able to withstand the elements and can pass as modern or rustic. Our weather wicker sets are made of woven materials over a sturdy aluminum frame. The perfect complement to any outdoor dining set, wicker sofas are available in synthetic or natural fibers. Sofas and sectionals come with comfortable cushions and weather-resistant protective covers. The entire process begins with broomhandle-sized poles, which are steamed and bent into the form needed for the furniture. As the pole is cooled, the shape is retained and the wicker materials are woven around the frame. Frames can also receive a finish during production, usually dusted to avoid the effects of being exposed to the elements. Weaving the wicker materials is a process typically done by hand, although some manufacturers do use a machine to weave, which means that it can take anywhere from 1 to 4 days to finish a project. In addition, wicker pieces may receive additional sanding for smoothness, a lacquer or stained finish, or deburring to remove unwanted materials and ensure a smoother finish. Frames are constructed of aluminum, which does not rust. You can leave your wicker out in the rain or snow with no major damage. To clean your wicker, run a dust rag over the materials. Dust can accumulate if you fail to clean, which leaves furniture looking decrepit, but no peeling should occur with proper care. Wicker does not dry out or splinter, but linseed oil will restore wicker to its natural glory. All materials can be re-stained or restored if the color fades. Question #1: What are the primary differences between wicker and rattan? 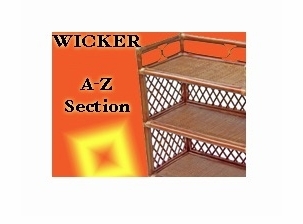 Answer: The word �wicker� is like a catch-all term that encompasses many woven products like sofas and end tables. 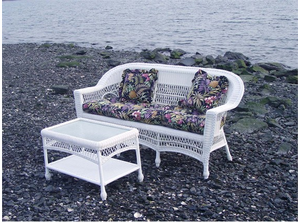 Wicker furniture is made from a variety of materials, including: rattan, seagrass, peel, or plastic. 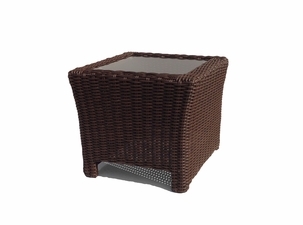 Synthetic, or resin wicker, is another viable option that has been used in recent years. Rattan vines can be up to 500 feet in length, and 2-2.5 feet in diameter. The pole is often used to form the basis of the frame, before it is cut into smaller strands and woven into the furniture. Answer: Both materials are about equal in strength and weight support, what you really want to test for is the frame. If the frame is solid and does not sway, you�ll find it at Wicker Paradise. Question #3: How well does wicker hold up outside? Answer: Vintage wicker might need to be stored over night, but these pieces can be several decades old. The elements typically don�t effect new wicker pieces as easily, so you don�t get the kind of drying or cracking that might occur with older sets. However, weather can rot the frame if the furniture is not designed well. Heavy plastics or wood frames are especially susceptible to this kind of a beating, with warping being a particularly big problem for wood frames. Aluminum is our frame of choice because it doesn�t rust, and it can be treated for even greater weather resistance. Aluminum frames also make furniture light-weight and easy to rearrange. Water proofing can help prolong the life of your piece, but isn�t generally necessary as most furniture receives a finish that protects it from the elements. You may need to re-stain your furniture over time, especially if left out in the sun, but you won�t typically find pieces falling apart from outdoor use. Question #4: What kind of assembly is required? 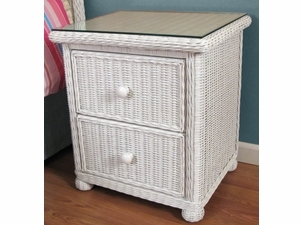 Answer: Wicker Paradise ships all of its furniture direct to you and fully assembled. Remove the piece from the box, place it and enjoy. Question #5: How long has Wicker Paradise been in business? Answer: For more than 30 years, the third-generation family owned business has been selling wicker and rattan furniture. We are located in the suburbs of Westchester, New York, and our trained staff is available by phone to answer questions wherever you may be located. Please call us at 1-800-894-2537 if you have questions this FAQ didn�t answer. We�re happy to assist you in choosing the best wicker furniture for your home. 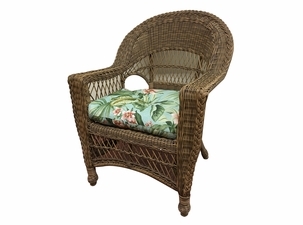 We are Wicker Paradise and we are home to hundreds of individual pieces of wicker and rattan furniture. Our exclusive furniture can transform your home and bring paradise right to your front door steps. Take things up a notch and discover your own style with our amazing collection of outdoor wicker furniture. Don’t forget about the interior of your home by looking through our extensive collection of indoor furniture including barstools, loveseats, and even sofas. If you are looking for an entire set of furniture for your room, then head over to our collections page and discover the finest six-piece wicker sets that you can find. Never shop at another department store for furniture again. Transform your home and your style today by choosing wicker furniture from us. Wicker has always been a classic centerpiece of the finest American homes and gardens. 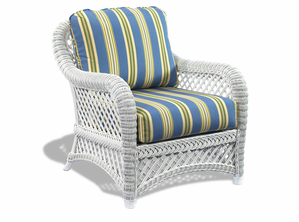 White wicker has traditionally been shown as porch furniture, patio furniture, sunroom furniture, or on decks, balconies, and other spaces. Brown wicker finishes add charm and luxury to indoor and outdoor spaces. This kind of furniture also lends itself to any type of weather, since it comes in indoor, natural wicker or the outdoor wicker made of synthetic wicker, resin or vinyl wicker. Make sure to check out this helpful article on caring for your wicker furniture. 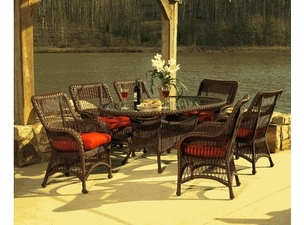 You can buy wicker sets with woven designs to suits your needs best. No matter what color and style you select, you'll fall in love with your Wicker Paradise set. Create the most charming, cozy look that only wicker can achieve. My wife and I want to extend an unsolicited compliment to all of the folks at Wicker Paradise. We were very reluctant to order wicker online. After all, one would normally sit on the cushions prior to buying. After much debate and a couple of phone calls to your customer service department with questions, we ordered the Lanai wicker collection for our new sunroom. The delivery was timely, the furniture was well packed. not a single scratch. We could not be happier with our selection of your company and the wicker furniture we purchased. Thank you for being a company that people can trust. Wicker will always be a timeless classic, most frequently known for intricate weaving patterns in furniture designs. Since wicker by definition is anything that is woven, the possibilities of style increases with the mix of natural and synthetic materials, variations of color and texture used in wicker production. Wicker decor can be broken down into two types. The splash of wicker to complete a look or a full collection to give your area the commanding presence you have always wanted. The splash of wicker effect finishes off an existing look with let's say a stylish wicker chair in the perfect fabric to give you a visual "pop" needed in the arrangement. If your template is empty, going with a full set of a wicker sofa, loveseat, rocker, and wicker tables with a coordinating rug and accessories finishes the room in style.